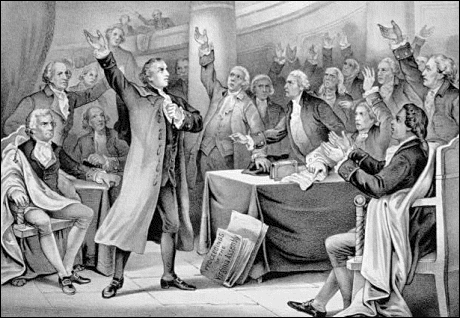 Today is the anniversary of Patrick Henry’s famous speech in which he declared “Give Me Liberty or Death” (1775). Download a copy and practice your oratory skills by reciting it. This entry was posted in 900 Geography & History and tagged american, henry, history, patrick, patrick henry, revolution, speech. Bookmark the permalink.